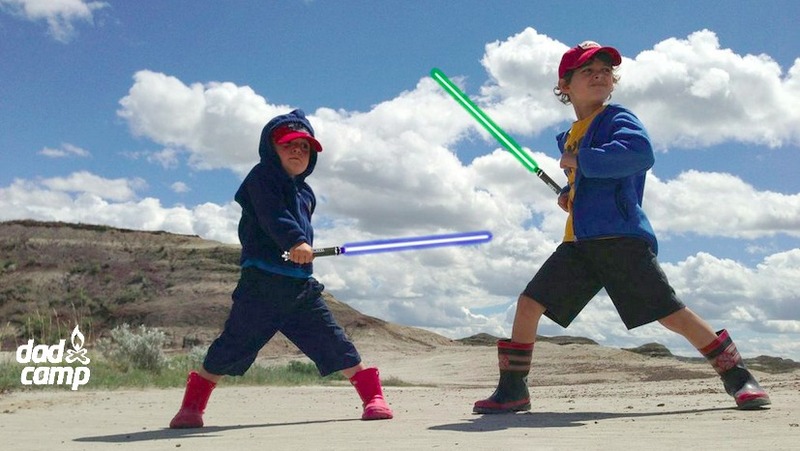 Welcome to DadCAMP, a Canadian dad blog written by me, Buzz Bishop. 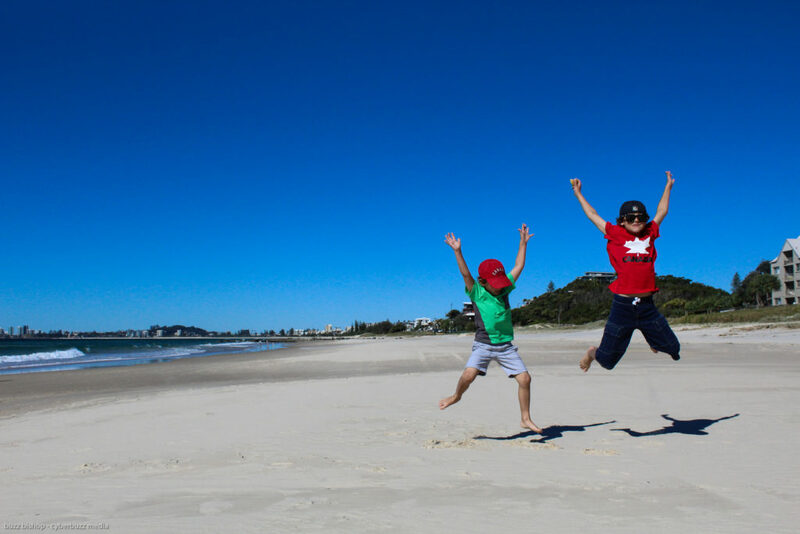 The site is accessible for all parents wanting to share stories about their kids, discover new things to do with their family and get tips and tricks to navigate the parenting minefield. We are a family of four and live in Calgary, Alberta. Myself and my wife, Jennifer, have two boys, Zacharie (’07) and Charlie (’10). Our boys love animals, adventure, and being creative. Zacharie is into dance and music and YouTubing. Charlie is happy with a box of LEGO, some crayons, and paper. Enjoying “cake by the ocean” in Australia! Want to work together? Get MEDIA KIT numbers and information here. 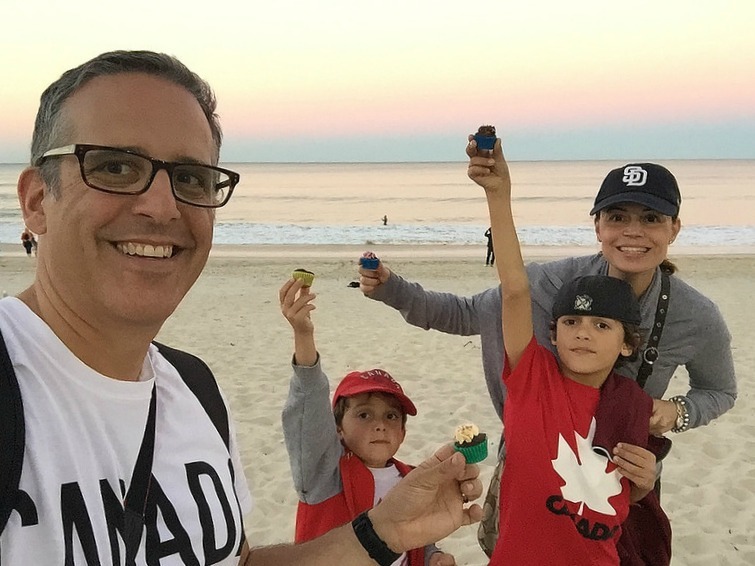 Like many parents who faced an employment hiccup, I was looking for something to occupy my time in between jobs and started DadCAMP in the fall of 2009 as a way to get out and network with other dads. The idea was to duplicate the unconference style of BarCamp, DemoCamp and the like to encourage monthly meetups for fathers to get together with their kids and make new friends, share ideas, and have fun. DadCAMPers attended hockey games, train rides, and toured pumpkin patches. The site has since evolved into a discussion about parenting issues, the portrayal of fathers in media, personal confessions, and cute stories about life with 2 creative boys. Cision Navigator, a Public Relations, Communications, and Marketing resource for top media contacts, has picked DadCAMP as one of the most influential Dad Blog Brands in Canada. 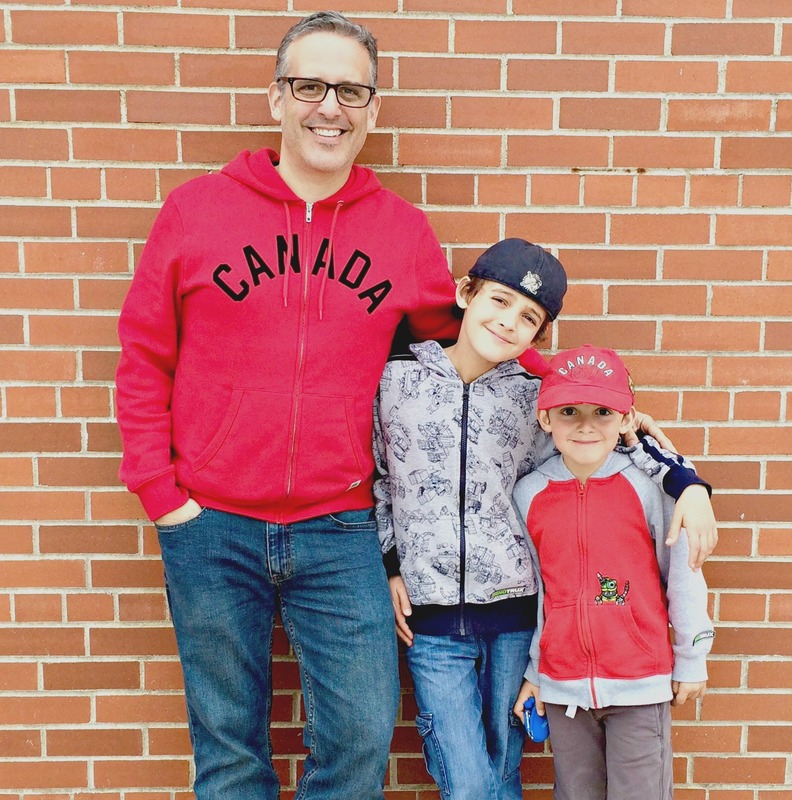 In 2017, Cision named @DadCAMP one of the 10 Canadian Dads worth following on Twitter. CanadianParents.com has chosen DadCAMP‘s founder and editor, Buzz Bishop, as one of the Top 25 Canadian Parents to follow on Twitter. Named to First Site Guide‘s list of Best Daddy Bloggers To Follow. Named to Voicebok‘s list of Top 50 Dad Blogs. Named to LifeScoop‘s Top 10 Wired Dad Blogs. Named BrighterLife‘s Family Award winner as one of the top family writers in Canada.